November 16th 2013- Since writing this post in April of 2013, the market has changed to indicate the median days on the market before selling is 46 days, and the median price for a 4 bedroom house is $150,000. Of course the better the home is staged and marketed, and the more attractive the price, the quicker it will sell. 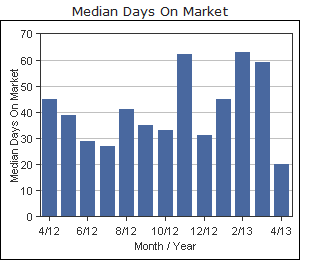 Statis tics from the Georgia MLS show that the *median days on the market in Loganville GA, zip code 30052, for April 2013 is approximately 20 days. Not all the sales are in for April, so that could change, but we're off to a great start. So, do you want to know how to sell your house in Loganville Ga in less than 30 days? 1. Price it competetively . Houses priced under $125,000 in this area are selling like hotcakes. If you can't price it in that range because, it is in a different pricing market, you should still price it competitively to the other comparable homes in the area. Pricing 2 to 3% below the competition will attract homebuyers to your house first. If your house is only worth $125,000 or less, and you owe more than that, and you must sell quickly, talk to your mortgage lender and your real estate agent about other options. 2. Stage it Attractively This could be as much as adding granite countertops and new carpet/flooring or as little as a simple paint job. Freshly painted walls can do so much toward getting the best price in the quickest time for your house. At the very least, clean the house thoroughly and remove clutter. Hiring a staging consultant (around $200) is a great idea. Ask your agent to recommend one or possibly split the cost with you. 3. Get great photos. You would be amazed at some of the bad home photos that people - even real estate agents- post on the web. Most buyers these days (almost 90%) look at homes on the web before going to see it in person. 3.Hire a good local real estate broker Yes its a large expense, (you pay nothing until it sells and closes), but statistics show that houses listed with real estate brokers sell quicker. Your agent can have your house marketed to millions in just hours through a listing hub of websites, and the invaluable multiple list services which markets your house to every buyer's agent in the city. An experienced agent will guide you through negotiations, contract preparation, closing and inspection scheduling and details. They will stay on top of the buyer's qualifications and loan progress, if there is a loan involved. And they may also help you with you relocation if needed. This may not be the best time to sell if you're hoping to make a nice return on your home investment, but if you plan on buying another house, you could make up for it by getting a good deal on that purchase. With the limited housing inventory and still affordable prices in Loganville, if you're able to be competetive it is a great time to sell. If you're hoping to buy another home in Loganville, the lack of inventory might be a little challenging, but with the help of your buyer's agent you should still be able to get a wonderful house at a great price! 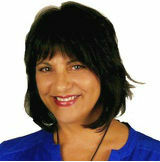 The House Of Sold.com is the web site home of real estate agent Barbara Jenkins of Solid Source Realty, Inc.